CHS Executive Director Marieke Van Damme Introduces our 2019 Theme: How Does Cambridge Engage? 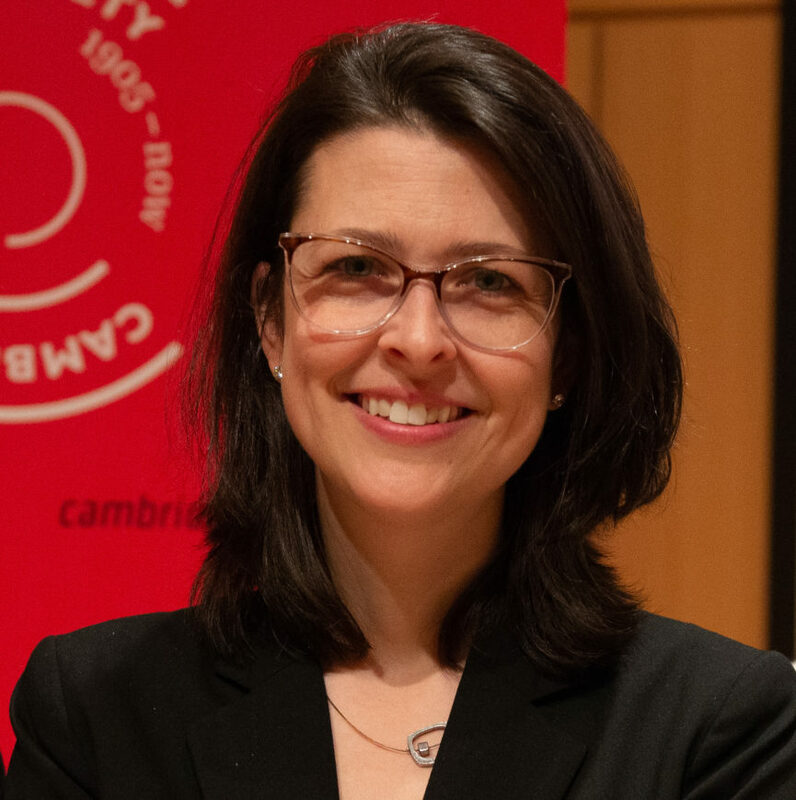 At the annual Opening Conversation held at the Cambridge Public Library in February, Cambridge Historical Society Executive Director Marieke Van Damme discussed the theme that will shape the Society’s programs throughout 2019: How Does Cambridge Engage? Three years ago, we decided to tackle issues that Cambridge is facing today and to offer a historical perspective. We vowed to be timely, to be relevant, and to be students of curiosity and inquiry. We want to help Cambridge “think like historians.” Looking back, I believe we have succeeded. This year, we’re asking: How Does Cambridge Engage? To answer this question, we need to step back and ask ourselves other questions: Do you feel like you are a part of history? Are historical events moving around you, or are they moving through you? Are you a part of the action? This year’s theme is about how the citizens of Cambridge have come together—and are coming together today– to make change in our community, in our city. It’s about understanding how we leave our mark. How to feel like we are making a difference for causes believe in. How we are a part of history. As we do every year, this year we’ll look at the past, present, and future of our theme. Over the course of the year, we will look back to moments of change in Cambridge’s past. When were these moments? What sparked people to take action? Were they deliberate change-makers, or were they winging it, learning as they went? How did the people of Cambridge feel about what was happening around them? Were they scared? Hopeful? Did they feel powerful or powerless? We’ll also be thinking about the present. Why does Cambridge have a reputation for being progressive and socially-engaged? Is it accurate? Can we find common threads in our passions over the years, and what does that tell us about our future? In the not so distant past, plugging into a cause was community-based, perhaps prompted by one’s circle, like your church or neighborhood group. Do those social structures still exist? What kind of person joins them? What’s the role of technology in engagement? Does “liking” a tweet make you an activist? We also look to the future. What’s the role of “young people” in making change? Often cited as disengaged, last year we saw young people across the country say “enough is enough” to many issues, not the least of which were gun violence and racism. Cambridge youth were no exception. As we started to work on this year’s programs, we’ve been wondering how much the younger generation knows about those who made change for them, before them? What can older generations learn from the activists of today? What does it mean for the Cambridge that comes after us, the one that we will never see? Our goal here at the Society is to raise questions about this city today and use history to help answer them. No one else in Cambridge does that quite like we do. I like to think of our events as continuing education courses. Sure, you can drop in for a class here and there, but coming to all of them gives you the richest education. By the end of the year we may not have all our questions answered, but we hope to have more open minds, a deeper understanding, and renewed empathy. We eagerly await your ideas …and your engagement.